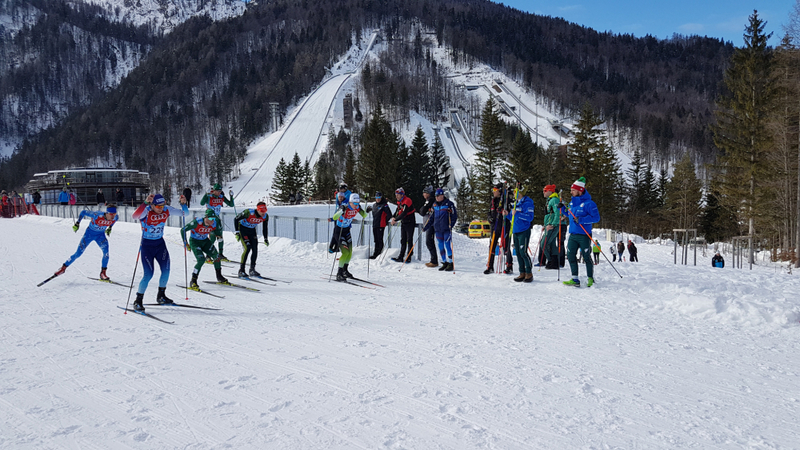 On the first day of FIS OPA Cross-Country Continental cup in Planica, members of the Italian team took the most places on the podium in the free sprint events. Claudio Muller of Italy was the fastest male athlete of the day, finishing ahead of Tom Mancini of France and he’s teammate Giacomo Gabrielli. On the ladies’ side of the competition we saw an Italian sweep. Ilaria Debertolis was first, Elisa Brocard second and Lucia Scardoni third. The best home representatives were Anita Klemenčič with 21st and Luka Prosen with 35th place. In the U20 race Jules Chappaz of France and Anna-Marie Dietze of Germany took the top spot on the podium while the best Slovenian athletes were Anja Mandeljc with 16th and Vili Črv with 10th place.